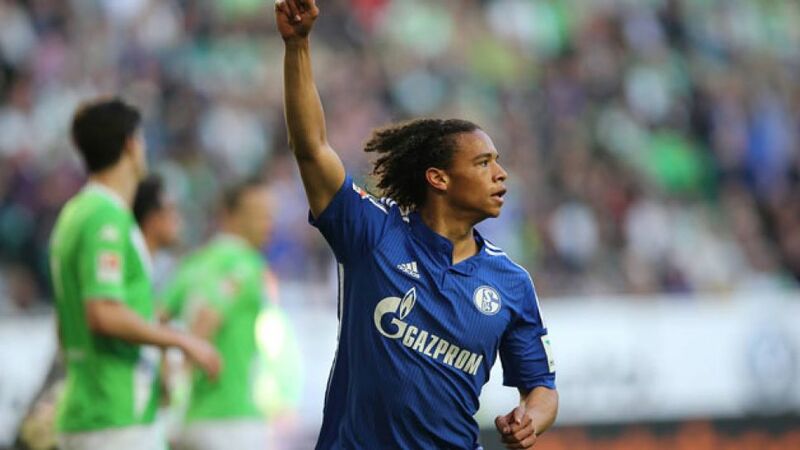 Wolfsburg - FC Schalke 04's Leroy Sane said he only had one thing on his mind when he embarked on a solo run that led to his third league goal of the season in a 1-1 draw at VfL Wolfsburg on Matchday 29. Leroy Sane: "I think we can be very happy with the point. It was a game with a lot of challenges but we got stuck in and it was a good team performance, especially at the back. They were unbeaten at home and had some good chances that Ralle [Ralf Fährmann] saved well. It's everyone's goal here to qualify for the Europa League - we're not thinking about anything else. Before my goal, I headed the ball forward and saw that I had space. Then I just kept running and had a bit of luck that I kept control of the ball. I was delighted to start another match and I hope to get some more game time in the future." Ralf Fährmann: "I had a lot to do, but I'm happy that I could keep the team in the game for so long. It was really important to get something here. After the last few weeks, our confidence had been dented a bit coming here, so the point is all the more important. It's obviously not ideal to have to make sure we qualify for the Europa League, because at the start of the season we had a different objective. But the fact that a lot of teams can still get into Europe shows how strong the Bundesliga is at the moment." Timm Klose: "I think we played really well today. After the defeat during the week, we really wanted to respond in the right way and I think we did that out on the pitch. We conceded a stupid goal that I think was their only shot on target, but Kevin [De Bruyne] showed great guile to bring us back into it. At the end we were a bit unlucky not to get a winner and that was unfortunate." Christian Träsch: "I think everyone saw how much we wanted to win the game and the chances were there for us, but unfortunately we didn't take them. Obviously you have to credit their keeper as he made some good saves today, but our objective was to win this one." Maximilian Arnold: "Looking at the 90 minutes, it's tough for us to take that we've only got a point. On the other hand, though, it's also a good point and if you look at where we are as a whole, I hope this result can prove to be an important one for us." Vieirinha: "We're not happy with just a point. We played well and we deserved to win, but football's like that sometimes. I think we showed a good response to the Napoli game, but we're sad not to have won."